Princess Snow White is very excited. Today is her wedding day and she wants to look super cute. Could you help her prepare? Start the game called Snow White Wedding Dress helping Snow White to clean up the mess in the shop and put all the dresses in the closet. After that you can choose the perfect dress for her. With your help Snow White will look great for her wedding. 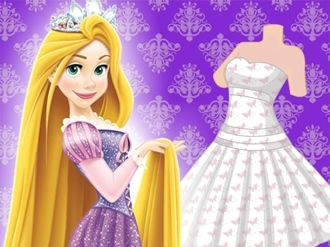 Show off your amazing design talent to create Rapunzel's famous stylish dresses in your own design studio. Make perfect combination of garments, choose unique style, colors and materials, then decorate the dresses for Rapunzel's upcoming fashion show! 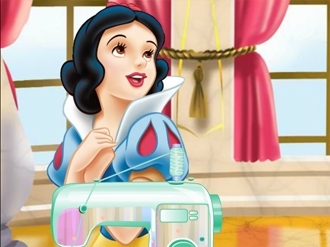 Show off your amazing design talent to create Snow White's famous stylish dresses in your own design studio. Make perfect combination of garments, choose unique style, colors and materials, then decorate the dresses for Snow White's upcoming fashion show! Disney Prom Ball is around the corner. And all the princesses decided to ask the whole fairytale world's best expert in fashion design for help! Of course, I’m talking about our beloved princess Cinderella. Wow, what a challenge! 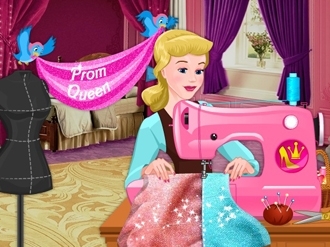 Belle, Rapunzel, Anna and Elsa, Ariel and other princesses - all of them line up to get their perfect prom dresses. There’s so much work to do, so Cinderella will definitely need your help! Your fashion skills and sense of style will definitely make every prom dress unique and incomparable! Have a great time! 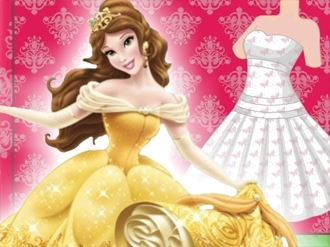 Show off your amazing design talent to create Princess Belle's famous stylish dresses in your own design studio. Make perfect combination of garments, choose unique style, colors and materials, then decorate the dresses for Princess Belle's upcoming fashion show! Rapunzel wants the best dress for her prom party tonight. She needs your help to select a nice color and design to stitch. Help her by measuring her inches and stitching. Come out with the best dress and make her happy with that dress. Here’s a super crazy dress up game to play today, ladies! 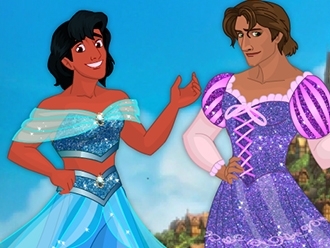 Aladdin, Flynn, Henry and Li Shang are the main characters of our crossdressing themed dress up game! And you are going to make sure their looks are perfectly mixed and matched while playing the ‘Disney Prince Crossdress’ game for girls. So get it started and see what jaw-dropping looks you can put together for each of them. Aladdin’s look is going to be inspired by Jasmine’s wardrobe: there are cropped tube tops and matching loose pants to pick from, so feel free to mix and match them as you wish and accessorise them with the right pair of shoes and jewelries. For Flynn and Henry, you can select one purple princess gown and one elegant floor-sweeping blue dress, the first inspired by princess Rapunzel’s wardrobe and the second by Cinderella’s. Next, you get to rummage through Mulan’s traditional wardrobe and select the right outfit to fit Li Shang’s size. A beautifully embroidered hand-fan would make the only accessory Mulan’s hubby needs for his traditional costume. In order to make them look even more feminine… feel free to select allowing make up look for each of them! Have a blast!